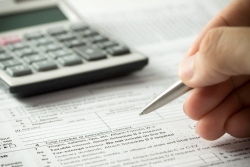 To put a tax planning strategy in place that helps you take advantage of every possible deduction, you need the assistance of a qualified tax accountant. At Bedford Tax Services our Hazlet, NJ CPA firm is highly experienced in tax planning and compliance for both businesses and individuals so we can save you the most money on your taxes. Don’t waste time worrying about taxes and wondering what you’ll owe when the next deadline approaches. Call Bedford Tax Services at 732-739-2632 and together we’ll develop tax strategies to fit your needs so there will be no surprises at the end of the year. We offer a free initial consultation.